From Orthodox Jewish child in postwar America to mild-mannered mathematician in academia to legendary atheist activist in the heart of today’s Republican South, Herb Silverman has always been outside the mainstream of American culture, politics, and religion. From this unique vantage point, he writes about the most pressing issues of our day, including those related to war, peace, patriotism, race, gender, and church-state separation. In this entertaining and thought-provoking volume, he curates some of his best written work. 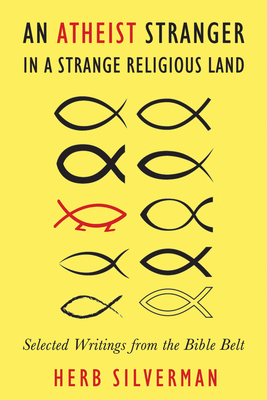 Silverman may see himself as an atheist stranger in a strange religious land, but thanks in part to his work as activist and author, atheists as a whole are no longer strangers in this increasingly irreligious land. Herb Silverman is founder and president of the Secular Coalition for America, author of Candidate Without a Prayer. He is also Distinguished Professor Emeritus of Mathematics at the College of Charleston.